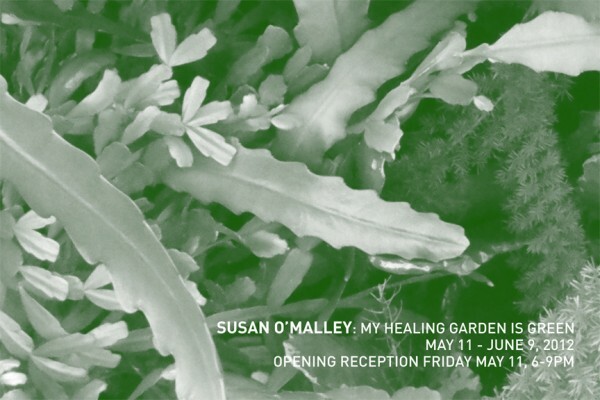 With a strained hand my mom wrote My Healing Garden is Green after she was diagnosed with a rare and terminal neurological disease called Multiple Systems Atrophy. Her handwriting was just one part of the loss, soon she could no longer do many of the activities she loved, like tend to her beautiful garden, work, or walk independently. Everything was happening very rapidly, so I asked her to write down phrases she always says to me. I think she wrote me things both of us needed to remember. 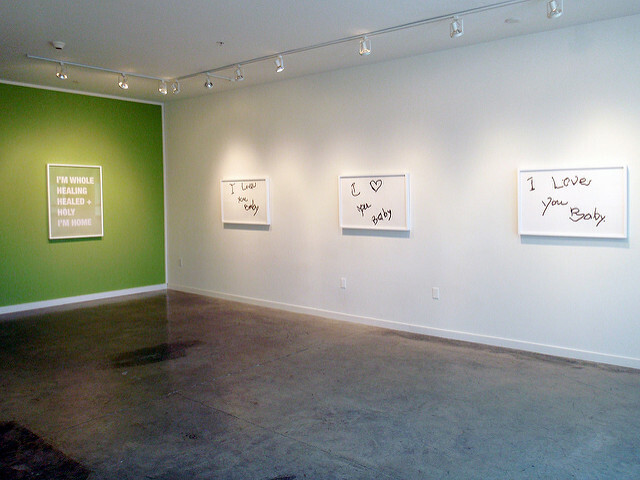 The notes she wrote to me comprised an exhibition at Romer Young Gallery in 2012. This project would not have been realized without the support of my mom, Guadalupe Reina O’Malley. I am so grateful for her – not only for agreeing to make art with me, but for her endless inspiration on how to live: with love, grace and a sense of humor. Installation images courtesy of Romer Young Gallery, San Francisco.